The term poison is defined as, “a substance that causes illness, injury, or death if taken into the body or produced within the body.” Mercury is a neurotoxin that makes up about half of a silver amalgam fillings. Amalgam can leak mercury vapors into the body, which can lead to birth defects and health conditions such as kidney problems. Therefore, mercury contained in amalgam can cause illness or injury when taken into the body and could be classified as a poison. Patients who are concerned about the effect of dental procedures and materials on overall health and wellbeing seek respected holistic dentist Dr. Scott Stewart at South Lakewood Dental. Dr. Stewart is happy to explain the danger of placing amalgam fillings in your teeth and the possible effect it can have on your health as well as the health of the dentist, dental staff and the environment. Dental fillings account for the largest amount of mercury in a person’s body, according to the World Health Organization. Studies have found elevated levels of mercury in dentists and dental hygienists, citing mercury exposure as one of the reasons dentists have a higher incidence of tremors, higher heart rates, and higher incidences of suicide than others do. Female dentists and dental assistants have a higher incidence of babies born with birth defects than the general population, according to studies. Studies link mercury exposure to serious health conditions affecting the cardiac, respiratory, immune, digestive and urinary systems, and the deterioration of brain cells. The amount of mercury detected in a newborn correlates directly with the number of amalgam fillings in the mother’s mouth and has been linked to autism. When mercury is not properly disposed of, it can contaminate landfills. Its gases enter the atmosphere and become absorbed by soil, affecting plant growth. Large parts of amalgam suctioned out of the mouth may travel through a filtration system into wastewater and enter the public water treatment systems, contaminating the water supply. A 10-acre lake can be poisoned by the amount of mercury in an average sized amalgam, making fish unsuitable for consumption. With so many potential dangers from the mercury contained in amalgam fillings, Dr. Stewart ensures patients are safe and protected. He operates a mercury free dental practice. As a mercury safe dentist, he has the training to safely remove and dispose of amalgam. Dr. Stewart is highly sought after for his holistic approach to dentistry. 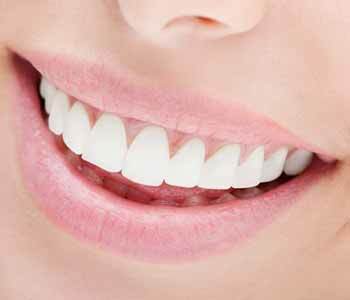 If you are looking for a dentist who considers the effects of oral health conditions and diseases on the body, look no further than South Lakewood Dental. To schedule a consultation appointment with Dr. Stewart, call (855) 233-0023.